Click on Windows Start button, click Settings, then either About, or Systemthen About. 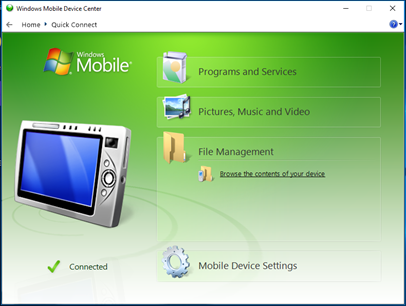 Note the System type (32-bit or 64-bit) and Windows Version to download and install the appropriate version of the Windows Mobile Device Center. 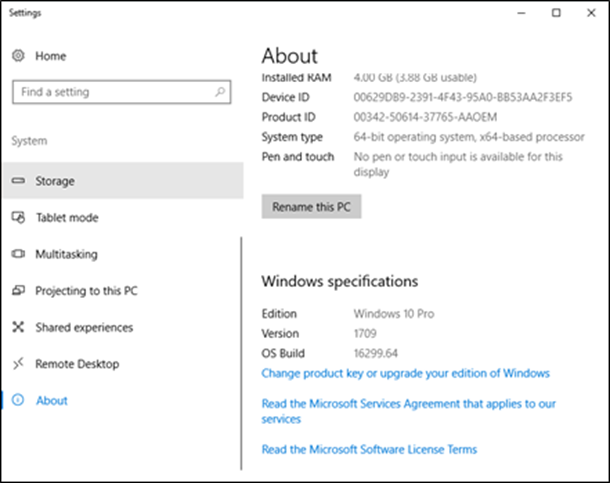 Follow prompts to install any additional Windows features if required. After installing the Windows Mobile Device Center, restart the computer. If installation was successful, the screen shown below should appear when the Datalogic is powered on and connected to the computer. Why can't I upload from my Datalogic Memor? How do I restart the RICS Link Application?